Download FTS19 Mod Uefa Champions League 2018-2019 by Ngo Quy Tai - A new game that has just been released from Vietnam. This time I will share a First Touch Soccer game on your Android device. 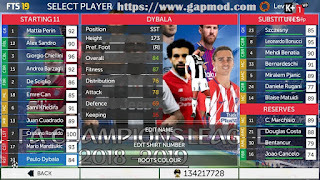 The FTS19 Mod Uefa Champions League 2018-2019, is a mod by Ngo Quy Tai. With a size of about 390 Mb, you will feel an exciting new game. 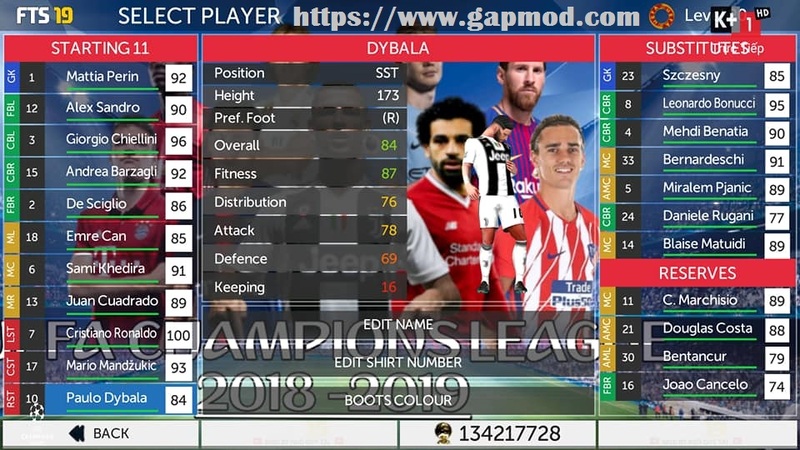 For the mod version that I will share this time, it was adopted from FTS 15 (First Touch Soccer) but modified to resemble the appearance of FTS19 Mod Uefa Champions League 2018-2019. If you play the original version in addition to its large size, you haven't got the latest transfer update. That's where FTS19 Mod by Ngo Quy Tai as close as possible to the game. Hopefully all of us, especially football fans on Android, can taste games like FIFA Soccer 2018 Apk easily, because the FIFA look is fantastic. If the File is .zip or. rar files. Then, Extract the first File to your sdcard. (If asked for a password, enter: ngoquytai88).